This vest was worn by Vin Diesel during his role as Richard B. Riddick in Pitch Black. 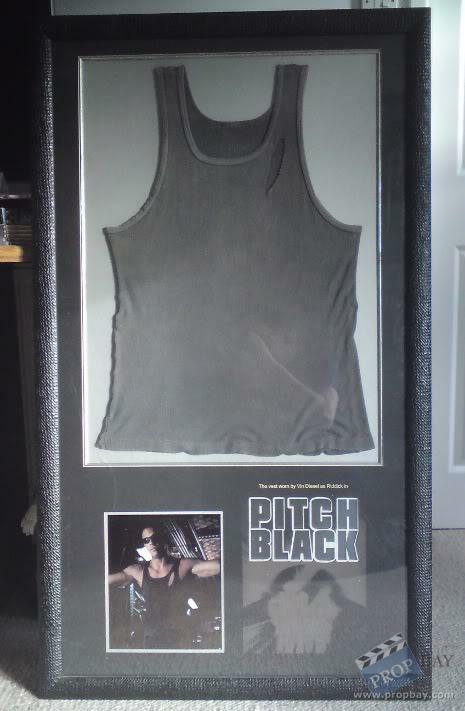 This vest has been framed by the Prop Store of London and was used throughout the filming of Pitch Black. Added: 06-13-2012 - Viewed: 1498 times.